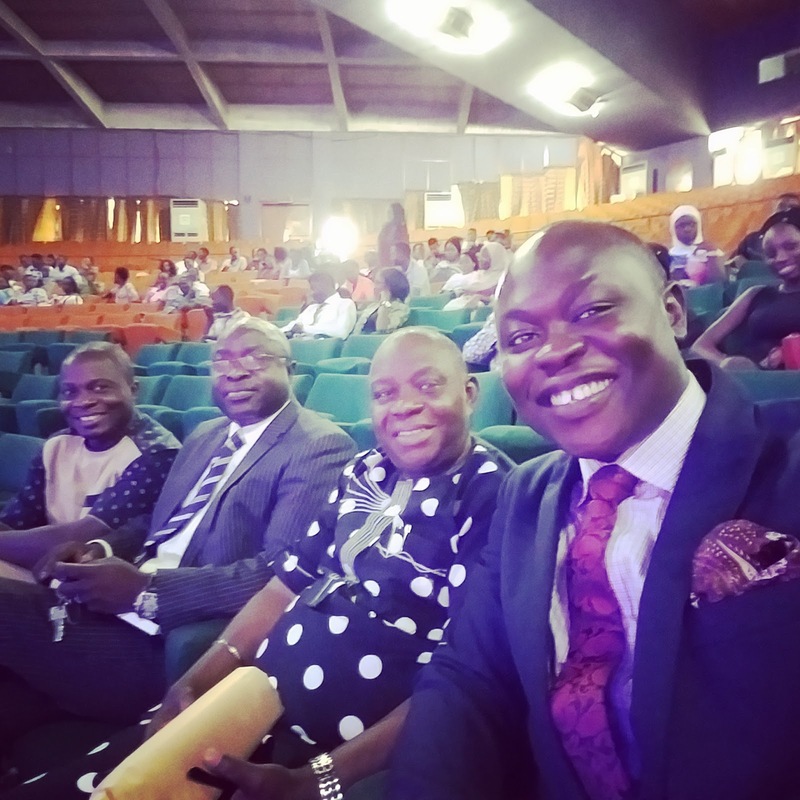 On Friday, 13th October, 2017, I was invited by Global International College, a secondary school located in Lekki, Lagos, to speak to the students at their University and Career Fair day. 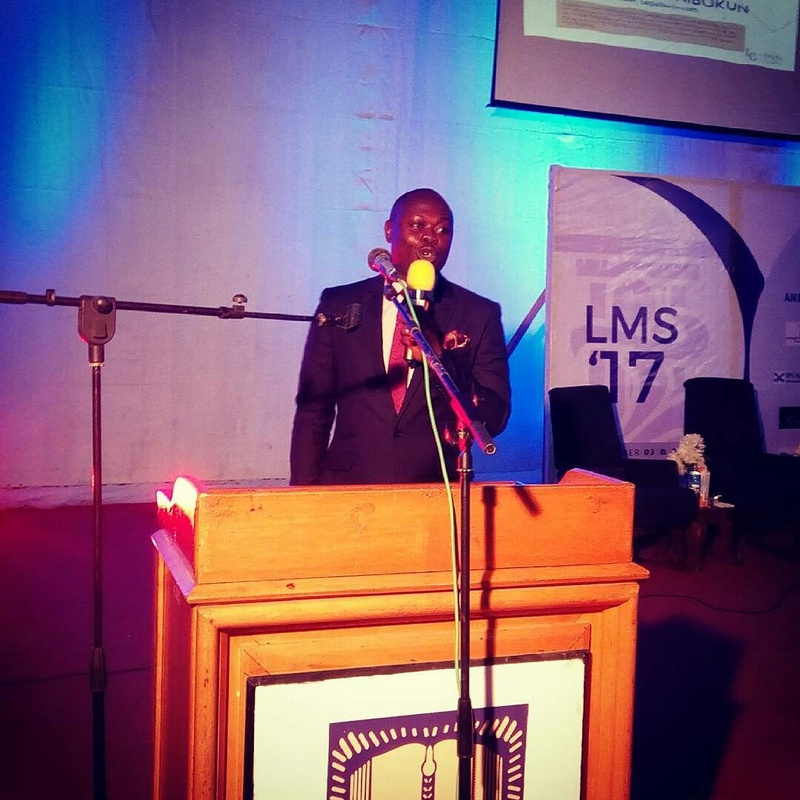 As a lawyer, I was particularly to address students who desired a career in law on the profitability and fulfillment of having a legal career. 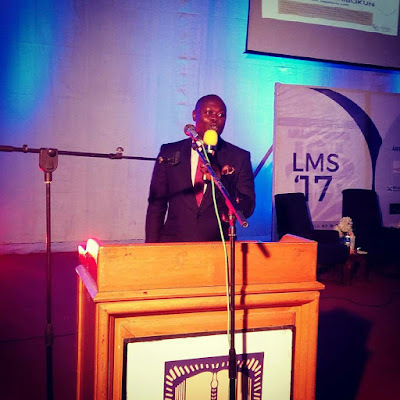 The Career Fair had picked up on an interesting note but there was a sudden turn of events when another speaker, who happened to one of the administrators of the school, expressly advised the students not to study law. The scenario was further compounded when the speaker asked me, “how much a young lawyer just out of law school would reasonably earn?” and I responded “between Eighty to Hundred Thousand Naira”. My response added fuel to the fire and the speaker went further to paint a picture of penury and doom for any of the students who chose to study law. I suddenly felt the need to defend my profession and I did so accordingly for the profession is so wide that everyone can succeed. 1. How can a young lawyer make his practice stand out enough to attract the needed compensation? 2. How could the new set of emerging lawyers break new grounds in the legal profession? 3. How could young lawyers participate and excel in the current political climate? 4. How could a young lawyer, participate in the global economy while acting locally within the territorial borders of our nation? I shall be providing answers to these questions and if you are a good listener and above all can apply creative thinking, you will discover how best to navigate your path in the legal profession and your exclusive role in the political and economic development of our country, our continent and the world. - How can a young lawyer make his practice stand out enough to attract the needed compensation? In the words of F. Lee Bailey, author of ‘To be a Trial Lawyer”, “A lawyer’s education is far too important to be left entirely to law schools. No school, regardless of how good it may be, is capable of teaching the potential lawyer all there is to know about the profession and business of law”. No law school graduate should regard his or her legal education as complete unless he or she has begun to develop skills of advocacy, legal drafting, legal research and negotiation. Many of you want to be revered like many senior lawyers, some of which you will have the opportunity to listen to during this Legal Marathon Summit. The recipe for becoming an outstanding lawyer is not beyond your grasp, neither is it too far-fetched. To be successful, it takes a conscious, consistent and continuous resolve at self - development. A lawyer must garner the requisite knowledge and skill and keep abreast of changes in the law and its practice, including the benefits and risks associated with relevant technology and engage in continuing study and education. More importantly, a lawyer must be excellent in all things and at all times. Also, success in your legal career is all based on the measuring stick you use. If it's financial reward, you may never feel you've achieved success or if you do, it's fleeting. If your measuring stick is how much you help pull others up and lend a hand, you may reach success at a young age and never lose grasp of it. My advice is don't chase the money. Chase the best lawyer in the practice area you want to pursue and go work for him or her even if you can make more elsewhere. You will more than make up for that compensation over your career by learning from the best. Every lawyer no matter how brilliant and smart must at all times bear in mind the strict rules of professional conduct for Nigerian lawyers and lawyers everywhere. A high regard for ethical standards and rules of professional conduct is an absolute necessity for success in the legal profession. The legal profession places a high premium on integrity, honesty, decency, dedication and discipline all over the world. A successful lawyer must always represent the high moral values and discipline which distinguishes lawyers in the society. - How could the new set of emerging lawyers break new grounds in the legal profession? In other to break new grounds in the practice of law, young lawyers must embrace new areas of law or less developed areas of law as Legal practice in Nigeria is still in the 3rd world. For instance, young lawyers can concentrate on areas of law such as Telecoms, Cyberlaw, ADR and Intellectual Property. Young Nigerian lawyers need to be more creative, enterprising, and industrious. As lawyers, our orientation should enable you open your minds to new learning and opportunities, not make you learned robots. Young lawyers should embrace Internet technology as the Internet provides boundless opportunities for professional development. Young lawyers must open their minds to new ways of doing things and take the lead in innovation. - How could young lawyers participate and excel in the current political climate? Lawyers play a very unique role in the protection of the rule of law. Lawyers by virtue of our status, have unique obligations to support law reform enhancing individual rights and open, representative government. In modern democracy, lawyers are specially competent and inclined to promote these values. Lawyers are usually sensitive to process concerns and help to create a climate in which democracy can flourish. However, the above in itself does not guarantee that a lawyer who is an administrator would generally support progressive ideals. As a lawyer, I am inspired by the contributions of lawyers in Nigerian History, starting with Founding Fathers including Chief Obafemi Awolowo, Sir Adeyemo Alakija and Samuel Ládòkè Akíntọ́lá to mention a few. Other lawyer heroes include the likes of Chief Gani Fawehinmi SAN and Bola Ige SAN. In a democratic society like ours, lawyers play a vital role as the custodian of justice. The conscience of the people and a bridge between the government and its people. Alexis De Tocqueville once stated that “When one visits Americans and when one studies their laws, one sees that the authority they have given to lawyers, and the influence they have allowed them to have in the government, form the most powerful barrier today against the lapses of democracy”. The above quote shows the vital role lawyers have played in developing and nurturing the United States of America.However, in recent times, not many Nigerian lawyers have been at the forefront of promoting democratic values and revolutions. No doubt, Nigeria is experiencing pretty interesting times. Corruption has finally reached epic proportions as stolen loot is now usually calculated in billions of naira and dollars. Terrorism is threatening from the North-East, the protection of human rights are not issues on the front burner, the rule of law is not sacrosanct and there is a major lack of enforcement of legal rules, regulations and procedures. There is a complete lack of accountability in government and the moral fabric of society itself is falling apart at its seams. 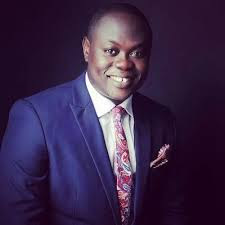 However, in order to be particularly involved in Nigerian politics, young lawyers must now determine to be lawyer-activist and honourable lawyer statesmen. There are lots of political opportunities for young lawyers and you are the mechanics of the Nigerian Legal System. To be politically relevant, you must understand that as a lawyer you are part of the fabric of the constitution, so why not become part of the fabric of your community as well. Society has created many rules and regulations for the co-existence of mankind and it is also the role of lawyers to interpret these rules to society. A very good way to begin is not only by joining a political party, but by participating in community organizing because to get things done, you need to mobilize people in a collaborative way. Community organising is the work of building relationships and networks in communities to activate people and create social and political change through collective action. It is important that the advocates’ skills be used not only to gain benefits for those communities but also to consciously build organizational power and community leadership. True sustainable change comes only from building large-scale, democratic organizations focused on building the power and conscious leadership of poor and working people. Additionally, community participation provides access points for new emerging community leaders to develop their experience, confidence and skills, thereby building community capacity, which increases voluntary action through “people power” and insures greater sustainability and staying power due to the increased commitment and follow through by community members. Essentially, citizen participation builds social capital while increasing connections among individual community members by strengthening social ties, relations, and networks. In 1985, freshly graduated from Columbia University and working for a New York business consultant, Barack Obama decided to become a community organizer. Today, he has served as the 2 – term President of the United States of America. I don’t think I have always wanted to be a lawyer but I was destined to be one, I remember my father once asked me if I wanted to be a lawyer or a business man when I kept brimming with business ideas. I also remember in primary school, I was less than 5 years old and we were having a costume party at school, I adorned the lawyer’s wig and gown and sang the words “I am a lawyer in my country and everybody knows me well”. Maybe an angel was flying by that day and decided to grant me my wish because I am now a lawyer in my country, Nigeria. However, as I grew to understand my role and responsibility in the larger society, I knew it was my duty as a lawyer to use my services to make my country and the world at large a better place. Hence, I and my friend, Temitope Atiba, who is currently the Senior Legislative Aid to Senator Gbenga Ashafa at the National Assembly, started a Facebook group in 2010 called “Nigerian Youth Development Initiative”, a group which quickly became popular due to our constant advocacy for the rights of the common Nigerian. After sometime, I felt the group was not having its required effect in promoting social change the way we deemed fit, I realized the problem was that I was one of the few who knew the quantum of legal rights available to all Nigerians and the common ignorance of the law prevented my message from being heard. So I set out to create what is today known as Legalnaija, the Nigerian Blawg that has contributed significantly to the education of Nigerians on their legal rights and obligations under the law. Legalnaija currently has over 1.5 Million views and thousands of followers across all social media platforms. At Legalnaija, we believe in the promotion of justice and equality for all Nigerians, regardless of status or origins and we look forward to a society where every Nigerian can equally get justice without needing to have money to hire the most expensive Senior Advocate as legal representation. I humbly urge you to become one of the lawyers that would catapault our legal and political system, so we may take our rightful place among the comity of Nations. - How can a young lawyer, participate in the global economy while acting locally within the territorial bounds of our nation? Young lawyers in legal practice must venture beyond usual borders in order to succeed in business. In the words of Chief Arthur Obi Okafor (SAN), “There is increased demand for specialisations in areas of practice in the global legal services sector that requires multidisciplinary skills, for instance a decent knowledge of accounting and finance in order to have a basic understanding of corporate governance issues etc”. Law is increasingly becoming multidisciplinary in nature and as a lawyer, you will be required to understand many socio-political issues, and happenings in other areas such as oil and gas, capital market etc. Furthermore, as a young lawyer, you must improve on your business skill and not legal skill alone. This is the effect of globalisation on legal practice. The reality is therefore that a lawyer should continuously pursue skills in related fields to remain relevant and employable in today’s rather overpopulated legal landscape.” knowledge and proficiency in ICT is also a mandatory requirement in the 21st century legal marketplace. The global legal market is currently on siege by very aggressive tech disruption and a Nigerian lawyer and indeed any lawyer anywhere in the world must therefore be abreast of latest developments in ICT as it is a requirement for effective use of ICT systems and devices. To succeed globally, the best way to make yourself valuable is to solve problems and find innovative solutions to legal problems that you encounter in your chosen area of practice. A lawyer is a better asset to himself and society if he can demonstrate excellent skills in a niche within the profession. It makes you significantly more valuable and gives you potential to attract more clients. If you are known as a specialist in a particular area, for instance; medical negligence cases, your value will greatly increase. I hope that from the above, you have garnered the required knowledge to take your legal and political career to the heights reserved strictly for the greats and I wish for someone in this hall today, that your career will be what legends are made of.